Although Robert Currens Fine Jewelry & Custom Design is only in its 8th year, Robert has worked in the jewelry industry for over 20 years. With his expertise in jewelry design, manufacturing and knowledge of diamonds and gemstones, Robert prides himself on customizing jewelry to his customer’s expectations. He is a true artisan. Committed to helping our customers realize their fine jewelry dreams, Robert offers an array of custom jewelry design services. 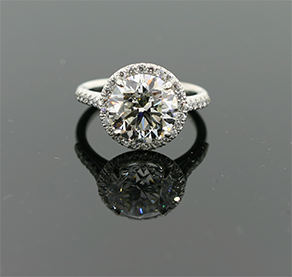 With years of experience, Robert is capable of creating an enormous variety of one-of-a-kind engagement rings and wedding rings, as well as an array of stunning necklaces, bracelets, earrings, and chic fashion rings. For more information on the custom jewelry design services available today at Robert Currens Fine Jewelry & Custom Design, please call 412.828.2877 or stop into our store today!